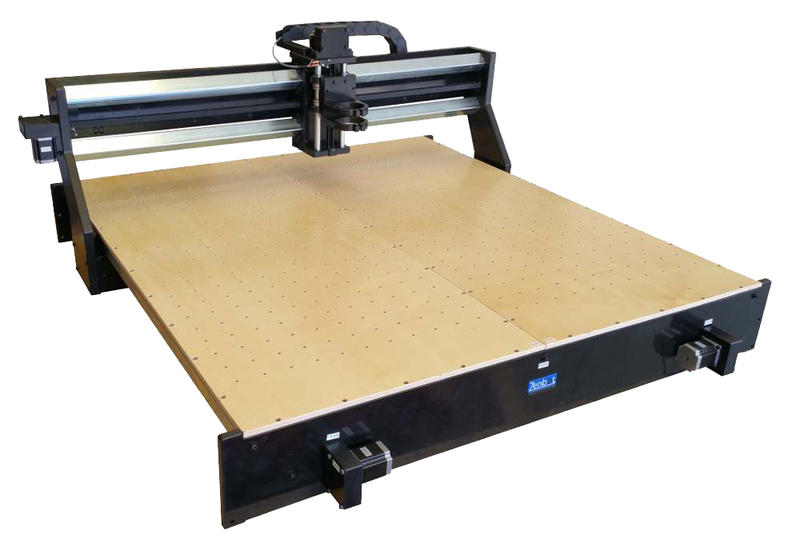 The Zenbot 4848 CNC Router is perfect for hobbyist and professionals. Excellent precision gives you the ability to do precise inlays, 3d carvings, engraving, and pcbs. The ruggedness empowers you to tackle the toughest wood working projects, cabinets, non-ferrous metals, plastics, signs, etc. Zenbot machines can handle abuse so they are excellent for first time users or education. Our machines are used by industry, Universities, high schools, small businesses, and hobbyists all over the world. Zenbot has built a reputation for quality and excellent customer service since 2006. If you have any questions, or need any assistance, were here to help. What will you make with your Zenbot? Linear motion system with ball bearings preloaded on 1.75"steel tubing on X axis and 2" square steel tubing on Y axis for ultra smooth motion with zero slop. 56 5/8" x 56 5/8"